"Door-to-door" delivery! Moving offices and homes within the Czech Republic, Europe and overseas since year 2000! Leave the custom clearance and paperwork to us! We know all the regulations, requirements and the specifics of international moving. We will assist you during the relocation of your company to/from the Czech Republic and issue all the necessary documents on your behalf. You do not have to do anything! We can arrange the packing, special parcels for pets, insurance, custom procedures and unpacking at the target destination. 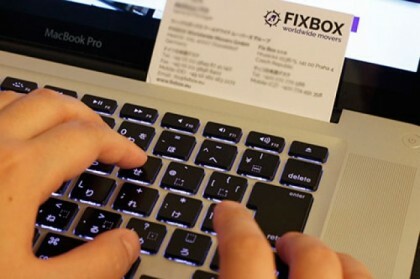 FIXBOX Worldwide Movers have been involved in relocation and logistic services in the Czech Republic since 2000. Over the years we have expanded our services to land, air and sea transport of personal belongings and whole homes and offices overseas. Use our quotation form to obtain a precise quotation for relocating your home or office from / to the Czech Republic, Germany or another European country. You can also use our basic contact form or contact us by phone.